Northumberland broadband gets £6.4m today to get thousands more homes and businesses online in England’s north-east. The cash injection should add another 3,200 homes and business to the Northumberland broadband network. It’s good news for an area of the country which is typically underfunded by government. BDUK, or Broadband Delivery UK, is run by the Department for Culture, Media and Sport. It gave Northumberland County Council £7.8m for the Phase 1 rollout of superfast broadband in 2016, and £2m in 2017 for Phase 2. Who’s in charge of Northumberland broadband? 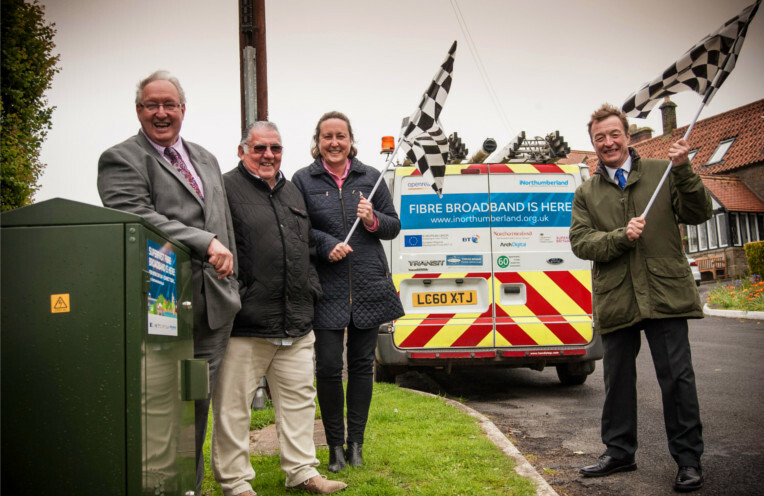 iNorthumberland is a joint project between BT and Northumberland County Council to install and upgrade broadband connections in the region. iNorthumberland says it has made fibre broadband available to around 54,500 premises across the county. BT say they’ve added another 100,000 to this tally. Northumberland County Council is putting in £1m, the government’s Broadband Delivery UK arm is adding another £1m, and BT are investing £4.4m. BT say they’re able to hand over the cash because they made “efficiencies” in the first phase of the rollout, which happened in 2016, and a high proportion of people signing up. The county tops the charts for the number of people choosing to upgrade to superfast broadband with 38.6 per cent of households and businesses now using the newer technology. So who’s getting superfast broadband now? Towns and villages included in the new rollout include Tritlington, Saltwick, Chillingham, Wooperton, Spartylea, Akeld, Twizell and Sharperton. Openreach, the engineering arm which legally split from BT in March 2017, are installing Fibre to the Cabinet (FTTC) technology in the Northumberland area. But six in ten of the homes and businesses included in today’s announcement will be upgraded to ultrafast 1Gbps broadband using direct Fibre to the Premises (FTTP) technology. 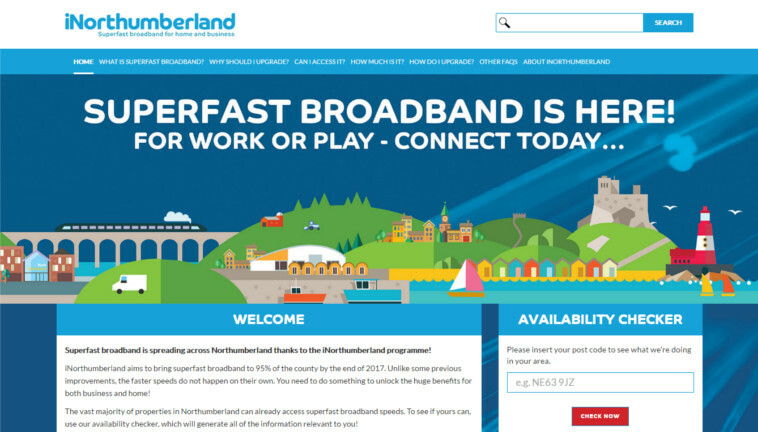 Cllr Dave Ledger, deputy leader of Northumberland County Council, said: “We are absolutely delighted with the success of the broadband roll-out so far through our iNorthumberland programme and this investment will take us even further. “We will not rest on our laurels however and will continue to work hard to find solutions for the small number of communities which still have difficulties with connectivity and are not earmarked for an upgrade through this work. “We will continue pushing to find further funding as well as technological solutions for the most hard to reach areas. Simon Roberson, BT’s North East regional partnership director, said: “More than 152,000 homes and businesses in Northumberland can now access fibre broadband thanks to iNorthumberland and BT’s own commercial roll-out. “The second phase of the iNorthumberland programme continues at pace and now that an extension has been agreed it makes us more determined than ever to improve broadband speeds as widely as possible across the county. BT has signed deals with 200 communities across the UK to bring superfast upgrades to residents not already covered by fibre broadband rollout plans. Can you get superfast broadband in your area?